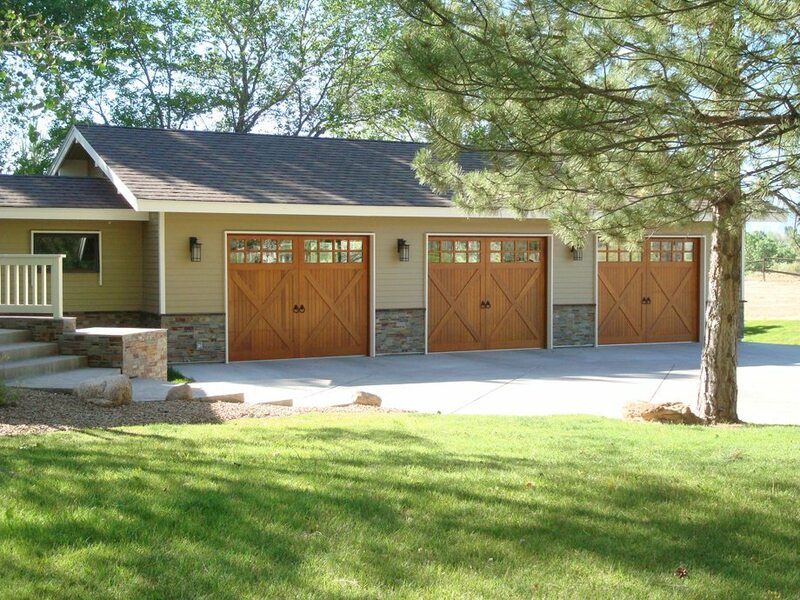 Whether you’re looking for a simple design or an eye-catching custom style, you can be sure that our options and expertise will help you find the perfect garage door for your home. 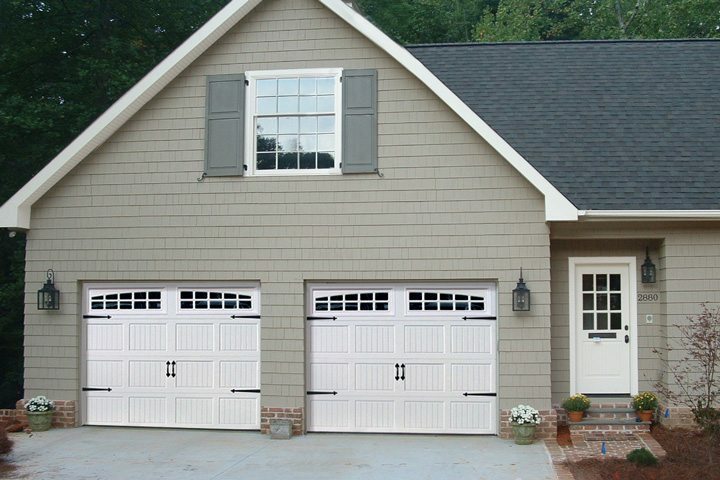 Even if you live in a hurricane or high wind-prone area, Raynor Garage Doors has a number of wind load residential garage door systems that are designed to stand up to the toughest winds and strictest local building codes. Questions? Ready to get rolling? 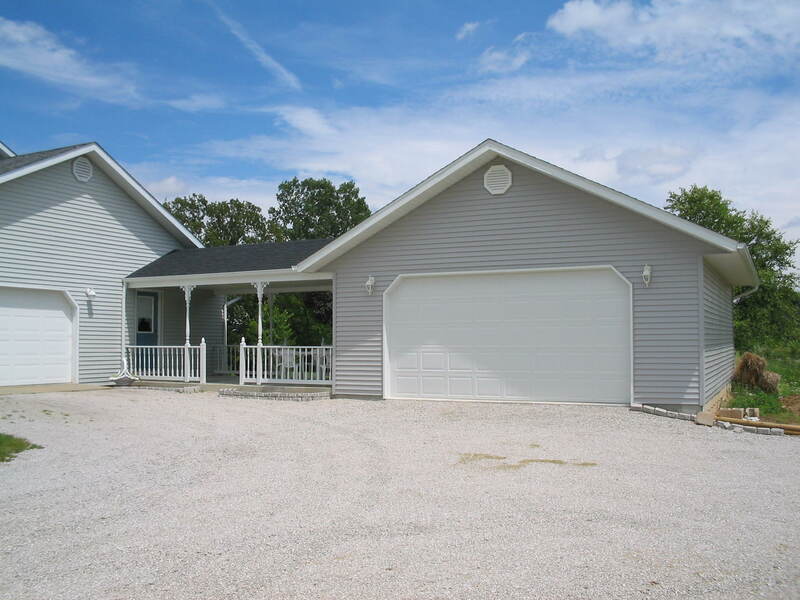 Contact us today, or read more below! 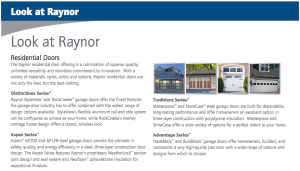 Raynor Garage Doors has been pursuing high standards and innovative ideas since 1944. 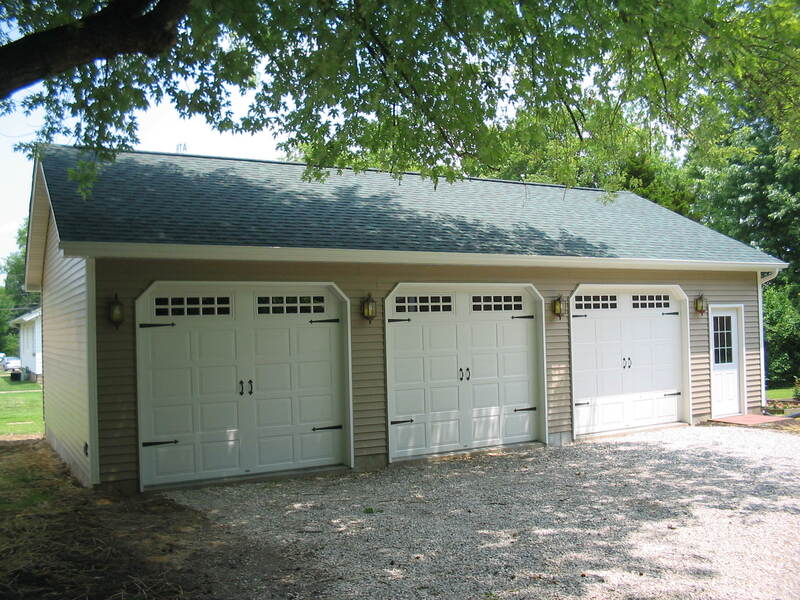 It’s not only their huge variety of commercial and residential garage doors available, but their dedicated workforce and commitment to customer satisfaction that makes them an invaluable partner. 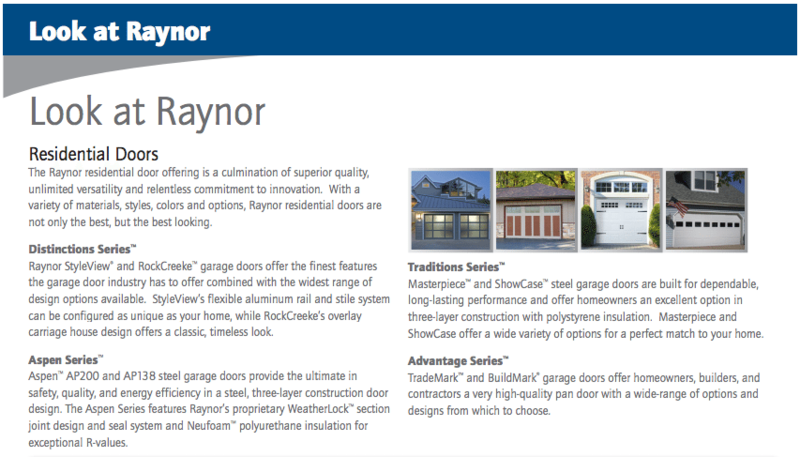 Click the image below to view the residential door options available from Raylor. 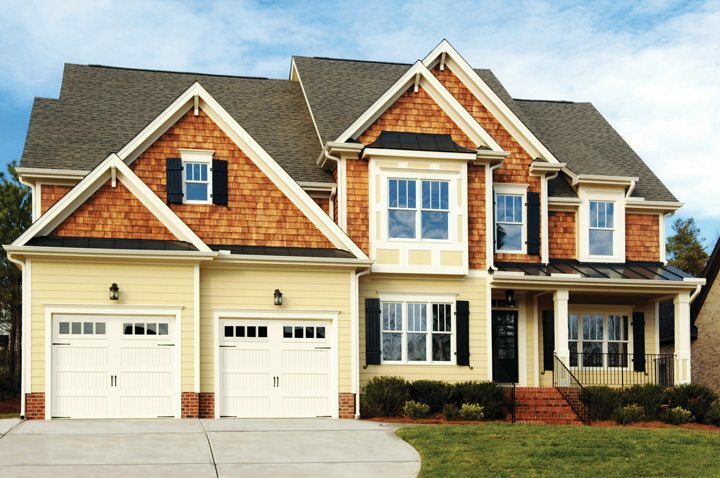 Learn more about Raynor's Aspen Series, available in standard and specialty sizes and with a variety of decorative customization options.